Remember in my previous post that I said the Black Forest Trifles were the last dessert of 2014? Well, I thought I was done with all the cooking these holidays but how can I skip New Year's Eve without a special sweet treat? Actually I don't mind making some mess in the kitchen knowing that the result will be THIS good! 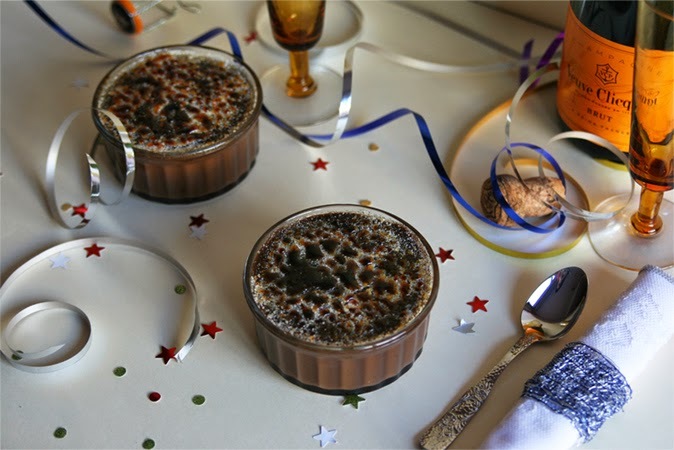 New Year's Eve calls for a festive, glamorous dessert that is easy to make, quick to serve and tempting. When I'm in charge of dessert and I'm looking for a guaranteed success there's no doubt: chocolate is a safe bet. Seriously, who doesn't love chocolate?! If you are not a chocoholic then we can't be friends...okay, okay, we can but I will do anything to make you join the dark side (*insert mischievous laugh here*). Chocolate, success and deliciousness are words that undoubtedly make me think of Fran Costigan and her amazing book 'Vegan Chocolate'. 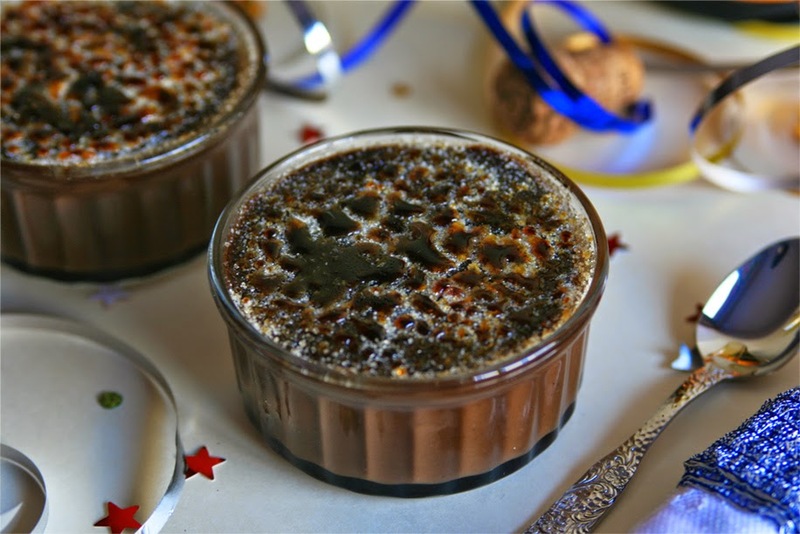 This Mocha Crème Brûlée recipe is from said cookbook and even though the pictures speak for themselves let me tell you how good they are: it's an original and yummy twist on the traditional and über famous french dessert, a great creamy combination of coffee and chocolate topped with a crackly layer of caramelized sugar. So delicious, so chocolaty, what a great way to end the year! 1 1/2 cups Basic Cashew Cream. 3 tbsp organic granulated sugar. 2 tbsp plus 1 tsp pure cocoa powder. 1 tbsp approximately of sugar (for each ramekin), ground superfine in a blender, for the brûlée. Mix the maple syrup, water, sugar, coffee, agar powder, and salt in a small saucepan and bring to a boil over medium heat, whisking frequently. Reduce the heat to low and add in the cocoa powder, don't stop whisking until the cocoa is completely dissolved. Add the cashew cream. Increase the heat to medium and cook to a boil, stirring frequently with a silicone spatula. Make sure that as you are stirring the mixture, it doesn't stick to the bottom of the pan. Pour mixture into four ramekins (around 3-ounce/89 ml size) and set aside to cool at room temperature uncovered. If a thin skin forms that means you are doing things right! 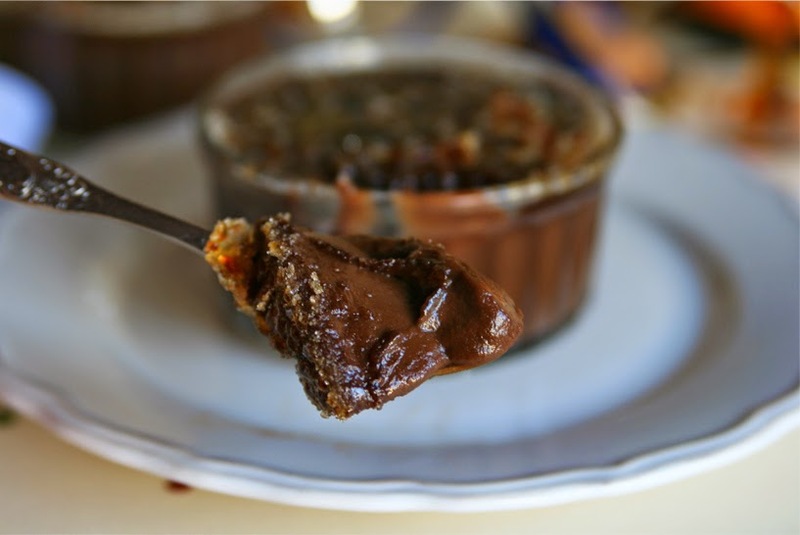 When the pudding is cool, sprinkle about 1 tablespoon of sugar per ramekin and brûlée a few minutes before serving. To make the caramelized sugar coating use a blowtorch moving the flame in all directions. Handle the blowtorch carefully and make sure you don't hold it too close to the surface or the sugar will burn. 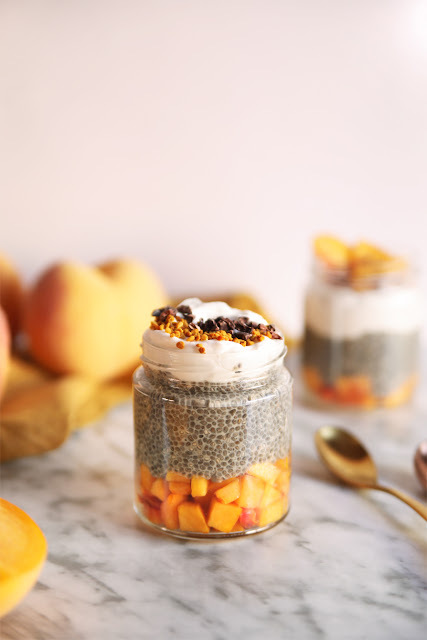 · If you are not going to serve the dessert the same day you make it then you should keep it refrigerated without the sugar topping. Cover with plastic wrap but do not allow the wrap to directly touch the surface. 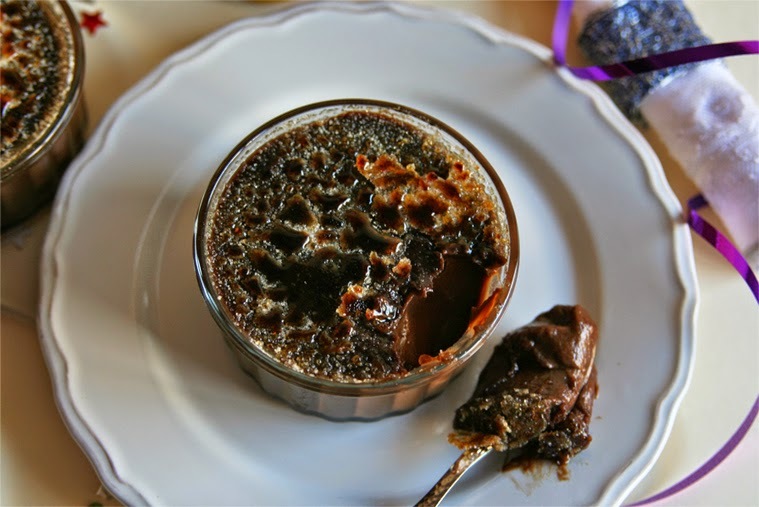 · The recipe yields four small servings or (like I did) two large ones. That means if you are following the recipe exactly like it's written here you will need four small ramequins (size is detailed above in the recipe) or if you wanna fill four large ramequins like the ones pictured in this recipe then you'll have to double the recipe. Aw thank you so much for your comment, such sweet words! ^_^. If only you could smell it! That mocha scent is to die for. The crunchy top is pretty addictive! 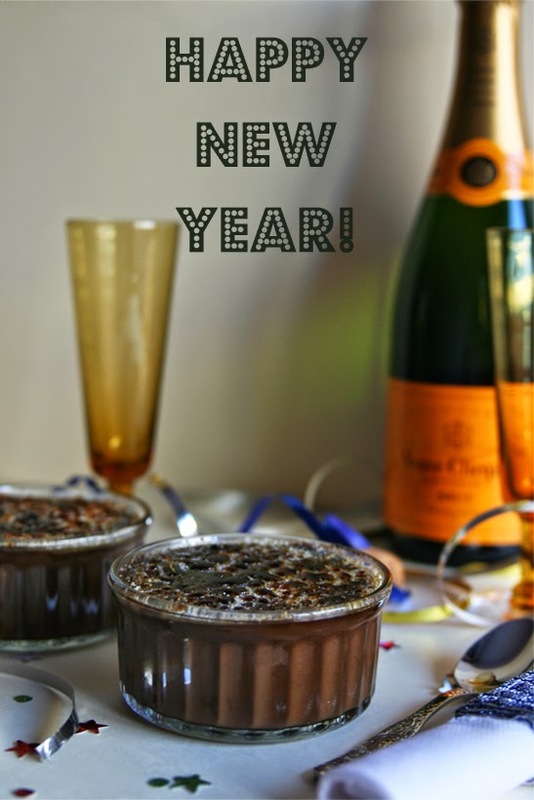 I'm glad I found your blog this year and am looking forward to discover more great recipes from you! That's a gorgeous creme brulee! I wish I could taste some. Would love to share a cup of this delicious dessert with all of you! Wishing you the happiest, healthiest, and sweetest of New Years! Looks like you're certainly off to a great start with these gems. Between the rich custard and perfectly bruleed tops, they all look incredible! I wish you a year with lots of great moments, many many laughs and health Hannah! Petons guapa i BON ANY!! 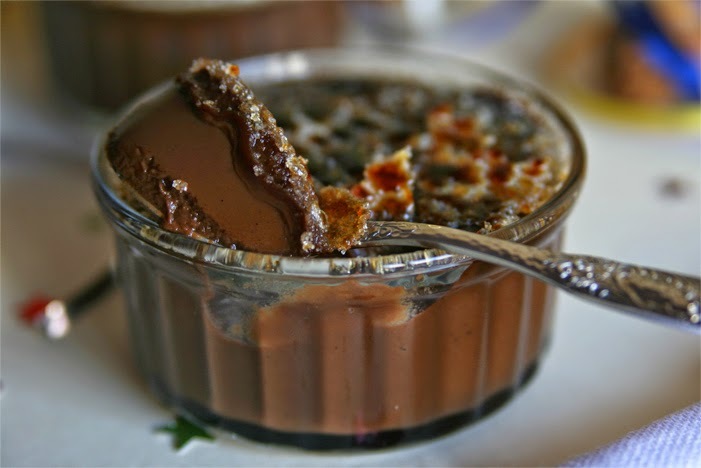 Quan tastis aquesta Crème Brûlée ja em diuràs què t'ha semblat i si ha tingut èxit a casa teva. Un petó i Bon Any! That is one evil looking dessert... breakfast of champions!